What's Golden Week? It is so called because there are a number of national holidays from the end of April to the beginning of May. 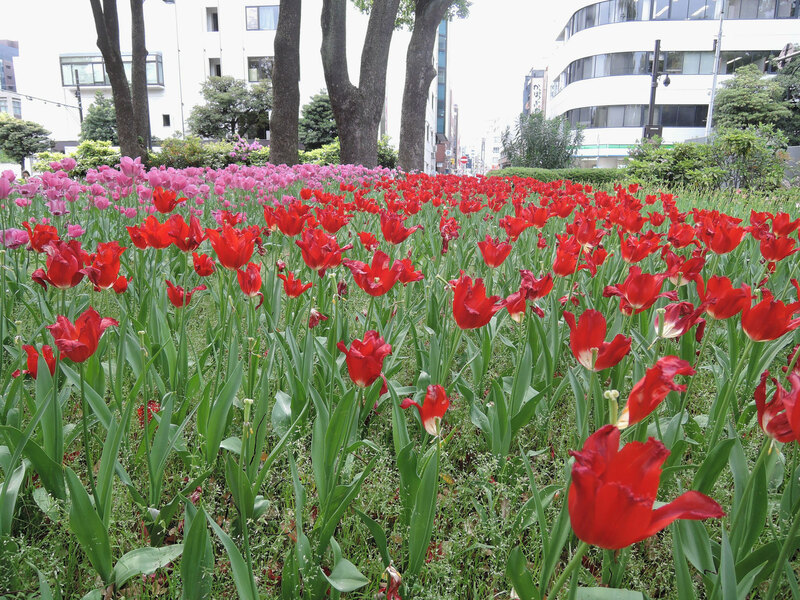 It's like this: starting on April 29 is the brithday of the Showa Emperor (father of the present emperor), May 3 happens to be Constitution Day (anniversary of the effectuation of the present Constitution on May 3, 1947) and May 5 is Children's Day. 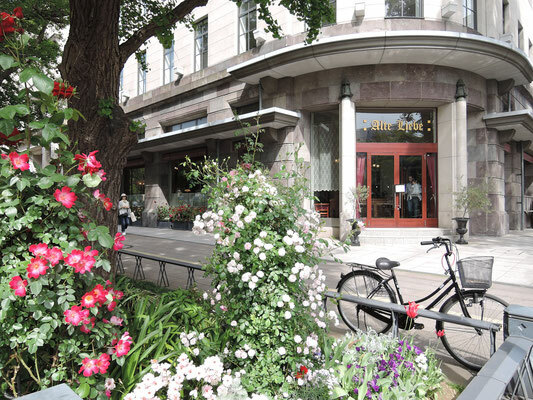 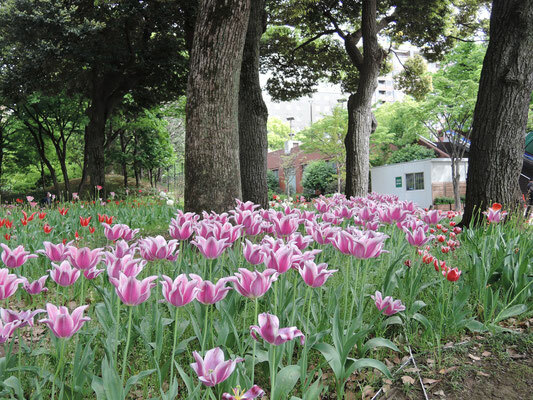 So, if you are lucky (taking a few days off for yourself), you will have a 9 day-holiday from April 29 to May 7 this year, including Saturday and Sunday. 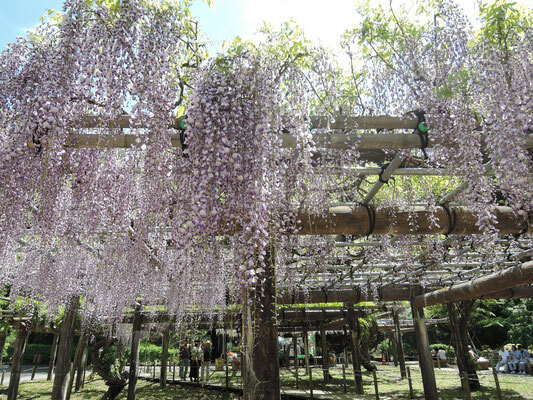 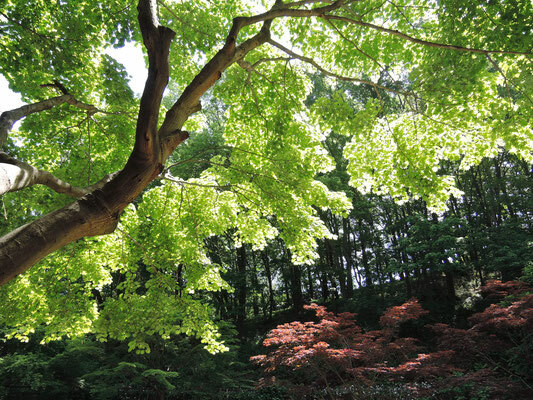 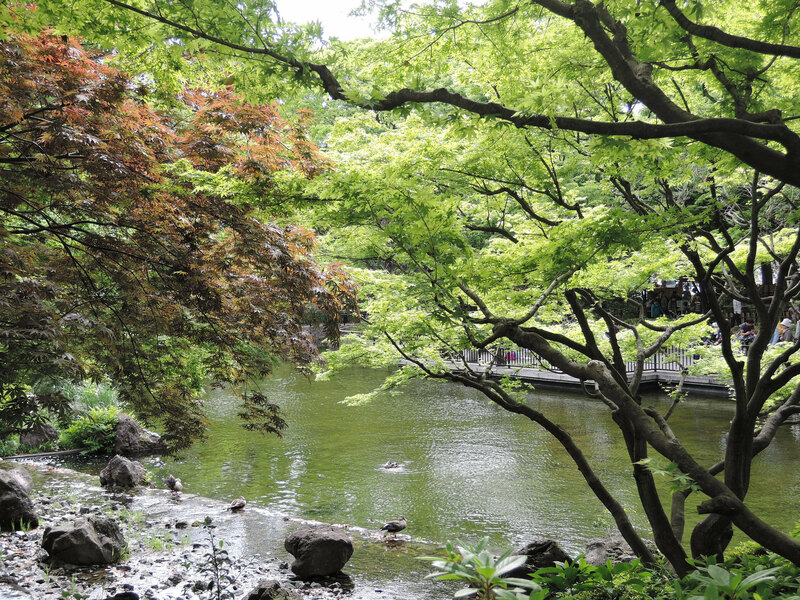 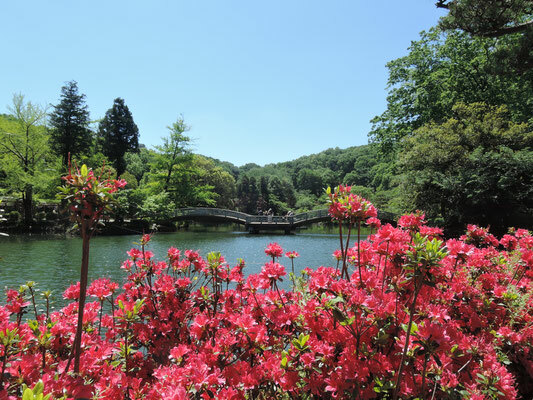 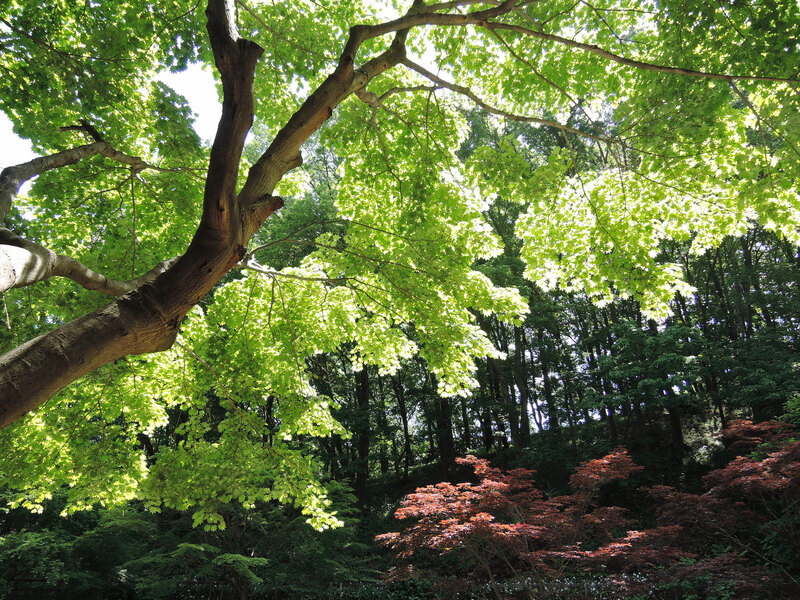 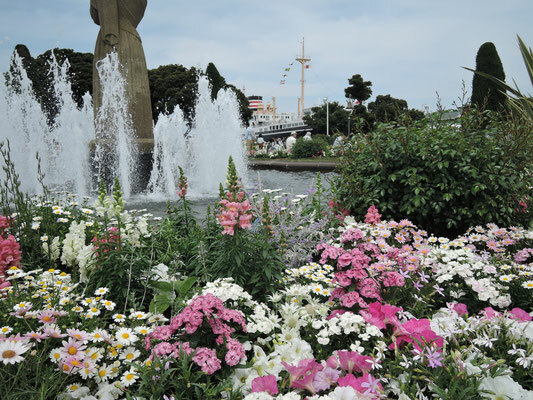 This year, Yokohama is hosting a flower and greenery festival called "Garden Necklace Yokohama 2017" from March to June. 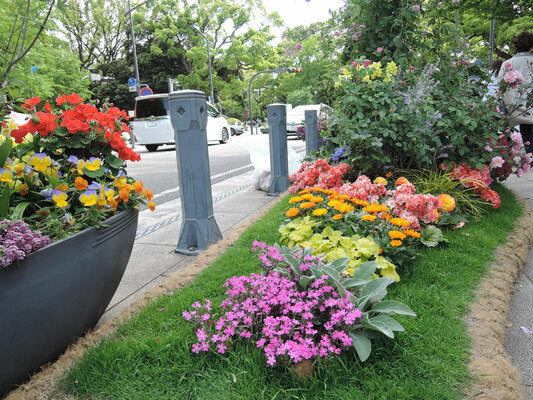 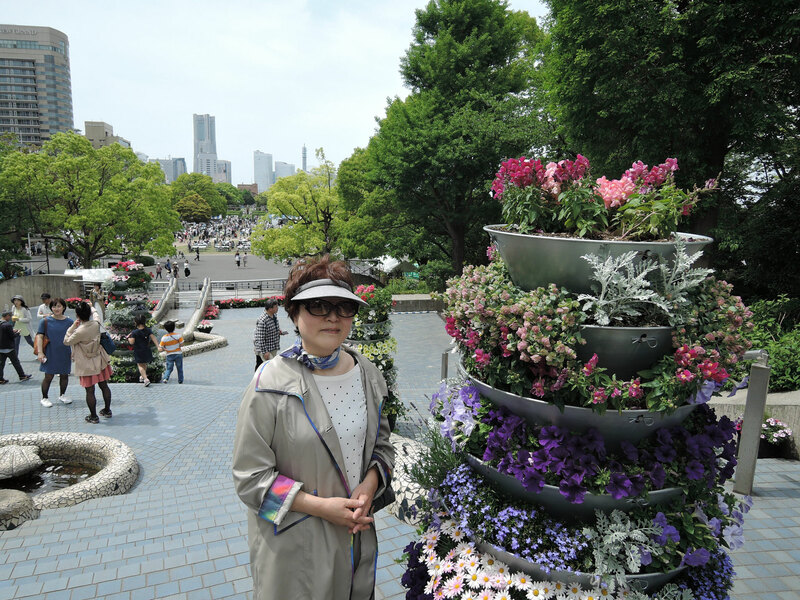 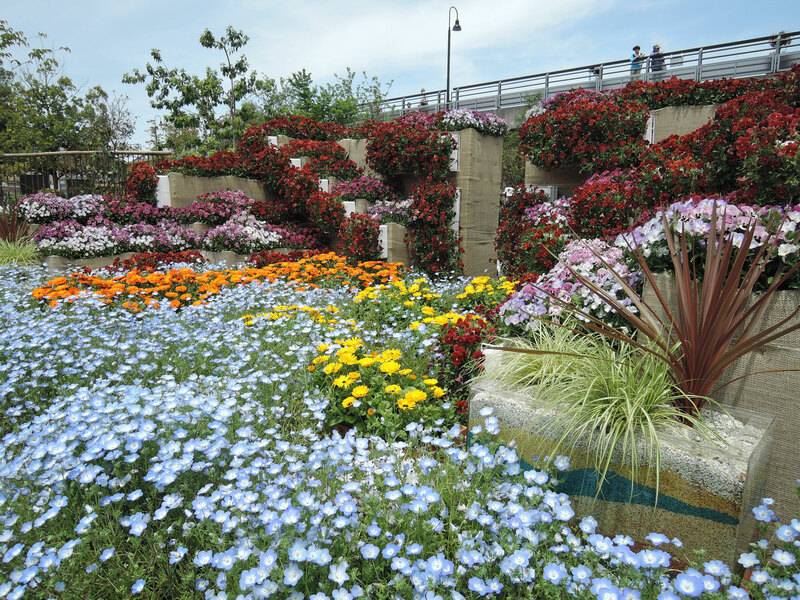 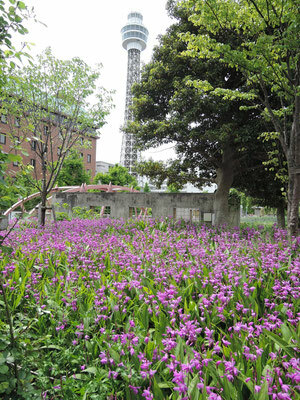 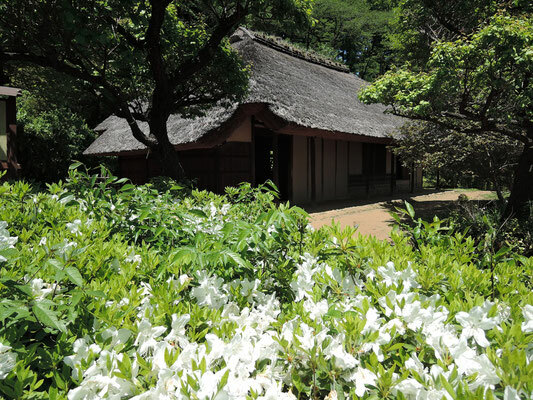 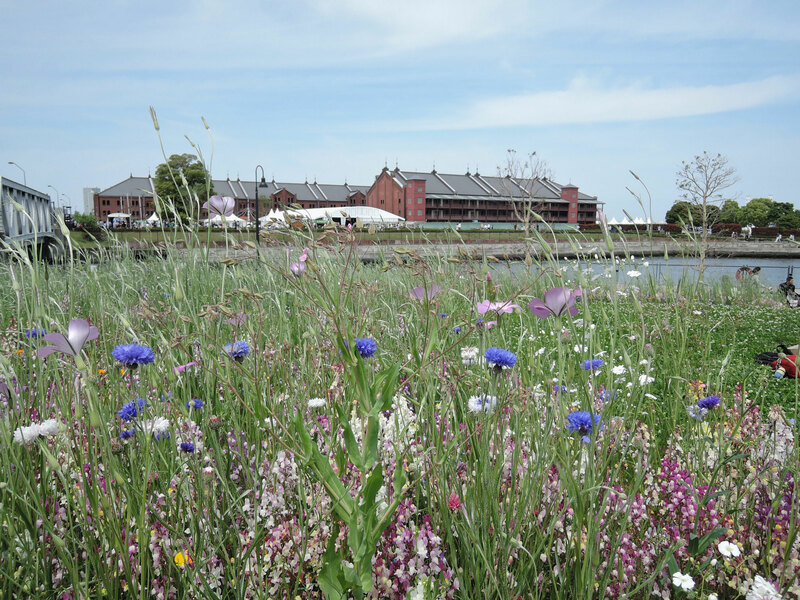 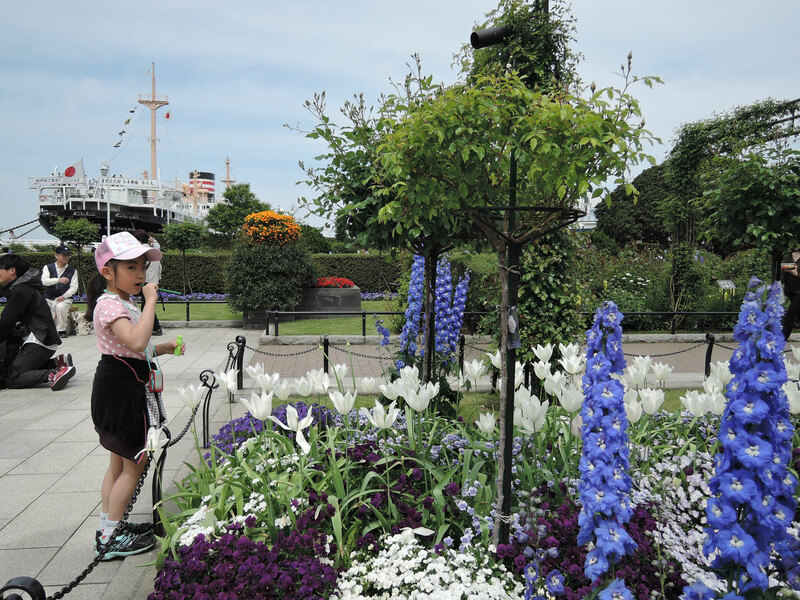 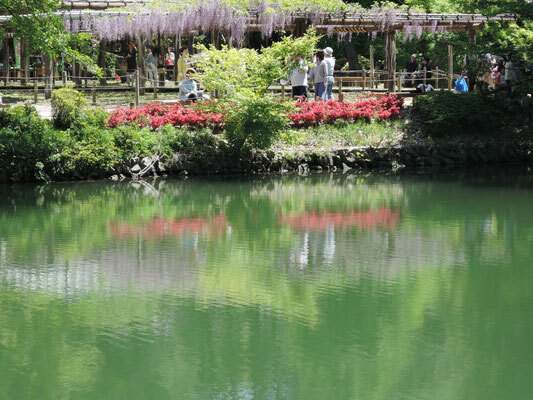 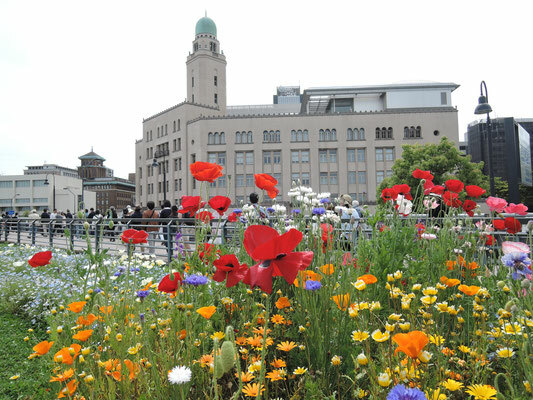 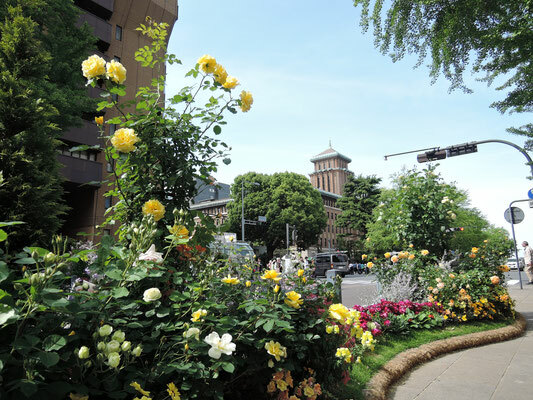 The Yokohama municipal government has exerted itself to "flower" many tourist attraction areas. 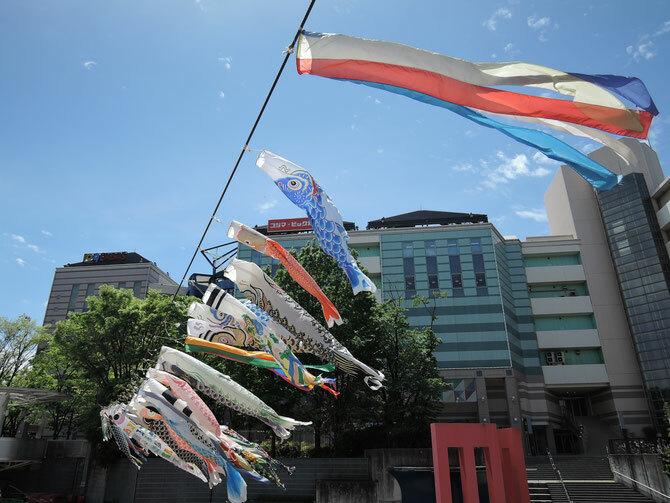 There were carp-shaped streamers flying in the air, wishing for a boy's healthy growth in Center Minami (south), northern Yokohama on May 4, 2017. Flowers, flowers and greenery everywhere in the Minato Mirai area, Yokohama on May 3, 2017. 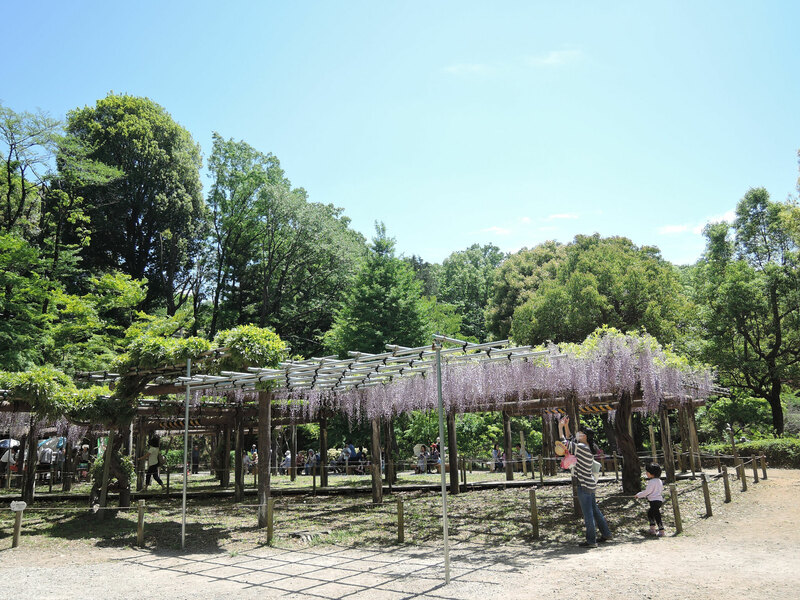 Beautiful purple wisterias sending out a pleasant scent at Yakushiike park, Machida, Metropolitan Tokyo on May 5, 2017.